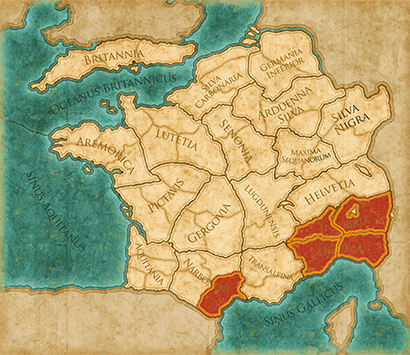 Although not inevitable at this stage, war in Gaul is, nevertheless, highly desirable to Julius Caesar. There is continued unrest following the defeat of the pro-Roman Aedui at the hands of neighbouring tribes; the Germanic Suebi have settled west of the Rhine and pressurized the Helvetii to migrate deeper into Gaul. 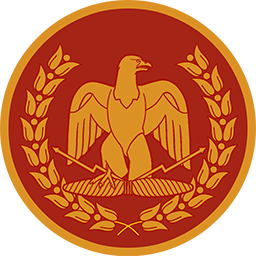 Holding office as proconsul of both Illyricum and Cisalpine Gaul, intervention in the region will open up the rest of the country to Roman dominance, in turn strengthening Caesar’s political position at home in the Senate. Now his consular year is over, Caesar has secured the proconsulate of Gallia Cisalpine for 5 years. This is a great opportunity to improve his personal fortunes and achieve glory for Rome at the same time.